Posted on September 20, 2015 by Appropos / This entry was posted in Informative. Bookmark the permalink. It would seem that only recently the oil rig & concentrate accessories made their grand appearance in the world of smoking culture, but in fact records of vaporizing essential extracts date back to the 1960’s, before the days of ceramic domeless nails, carb caps, glass drop-downs, & intricate percolating systems within glass pieces. It was a much simpler time. Sure, mixing your extracts with dry herb would seem like the easiest way to enjoy them but what if dry herbs aren’t immediately available? One of the first methods used in vaping extracts was good ol’ “hotknifing” but this wouldn’t last long because soon after a demand was created, new materials and methods were adopted. Glass peripherals involving moving metal pieces made their way onto the scene. Alas, the titanium glass swing was born! Don’t be fooled though, this is still a fairly primitive adaptation in the grand evolution of vaping concentrates. 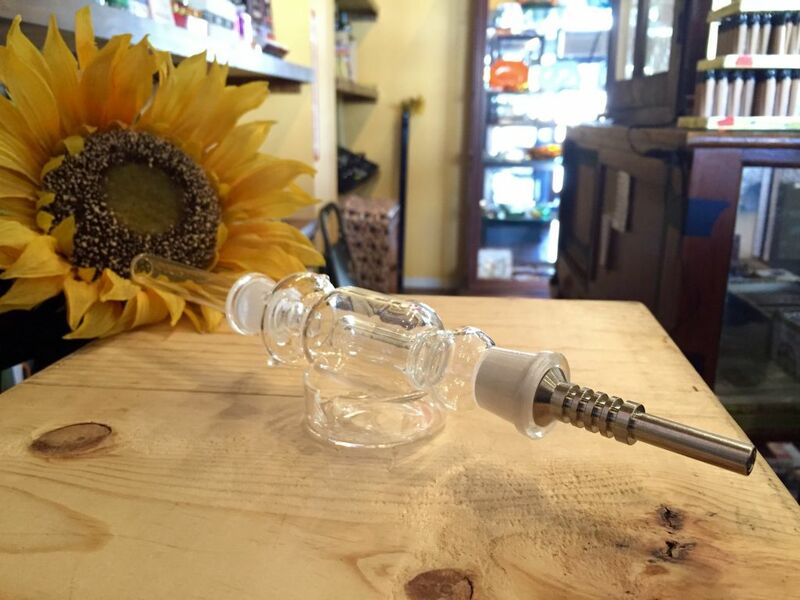 Honeycomb style bubbler topped with glass drop-down attachment and universal titanium domeless nail. Double-barrel recycler by Reckless, featuring a universal titanium domeless sidearm nail & titanium carb cap. Along with this new wave of emerging “Concentrate Culture”, glassblowers became more creative and inventive with their oil rig crafting. It became less about who could blow the biggest, gnarliest, water pipe but who could make the most functional pieces, with intricacies such as extremely detailed percolation systems beginning to show up on the oil rig scene. 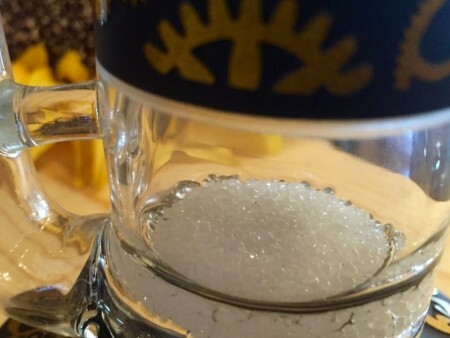 Small glass mini tubes became very popular due to the intense flavor profiles that could be noted in their use. Recycling pieces also made a huge appearance on the extract scene. 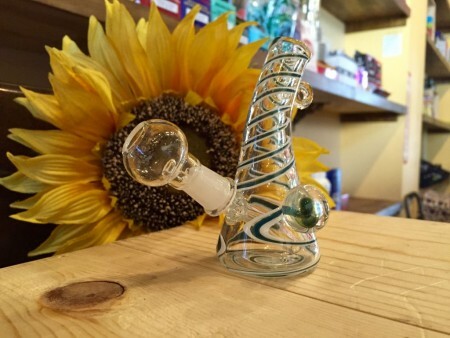 A recycler is a water pipe, typically small in size, that allows smoke to pass through water twice, thus resulting in an even cooler, smoother pull. By allowing the smoke to “recycle” it is re-filtered and cooled until the perfect inhalation temperature is reached as vaping extracts can be very hot and can result in an uncomfortable vaping experience. Some will even argue that more potential toxins are removed from an extract before being inhaled when recycled. A fritted disc percolation oil rig, which makes use of glass fragments that are bonded together leaving many small spaces which act as canals resulting in a unique diffusion process. 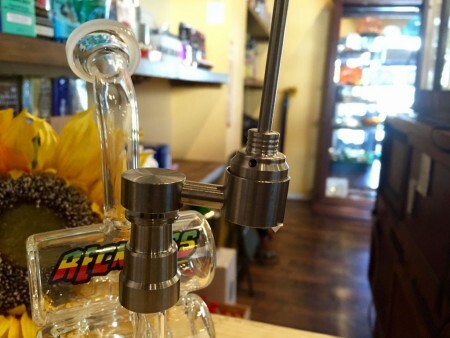 Double-barrel recycler by Reckless, pairs wonderfully with a universal titanium domeless nail. A commonly shared interest within glass blowing communities are glass pendants. Combining the beautiful craft of pendant making along with functional glassware has made for some of the most convenient pieces in recent history. Though thought of more of a novelty piece, a pendant rig doubles both as a functional oil rig as well as a fashion statement. A beautiful mini-tube oil rig pendant, sporting the standard glass nail and dome. Note the gorgeous worked notch on the side. It would seem that on the cutting-edge of concentrate products that they would run out of different ways to enjoy vaporizing tasty extracts, but fear not, there seems to be no halt in the foreseeable future. 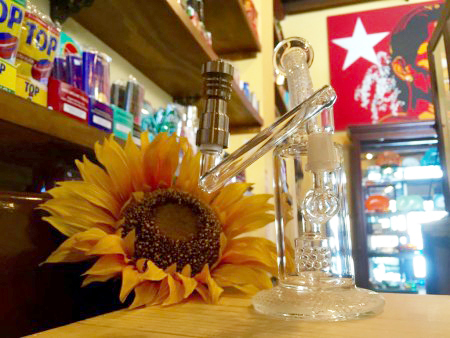 Around mid-2012, being the first of its kind, a vertical glass vaporizing unit sold under the name The Nectar Collector made its way to shelves of smoke shops in the U.S. Though in my opinion to be more of a novelty piece, The Nectar Collector just proved once again that innovation can strike at any time. With an anti-spill design and suspended glass and titanium nail options, The Nectar Collector delivers one of the most cutting edge vaporizing experiences, unlike any other. Our “Nectar Collector-style” oil rig, The Green High. Who’s to say what’s next for the wonderful world of functional glass? One thing you can bet is that we’ll have our eyes to the sky and ears to the ground, waiting for the next big thing. 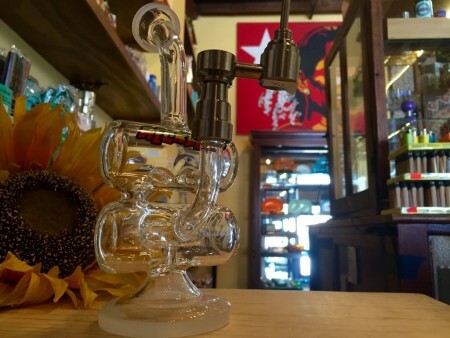 Do you happen to know how much the Double-barrel recycler by Reckless would price at?